Is your hair at its Full Potential? No matter how hard you try, do you feel the texture of your hair is letting you down in the styling department? Whether it’s the lack of swoosh or the non-existent wave – been there, done that, but I was too gutted to buy the T-shirt. After doing my research, it suddenly came to me – it’s all in the strands! If your locks are lacking lustre from daily heat styling, over brushing (and in my case, a lot of peroxide), we can’t blame our poor follicles for taking the burn! But as we all know, these daily tribulations must end somewhere and unfortunately the only route is breakage, split ends and devilish frizz. Guess what? There is a light at the end of this dark, dark tunnel. 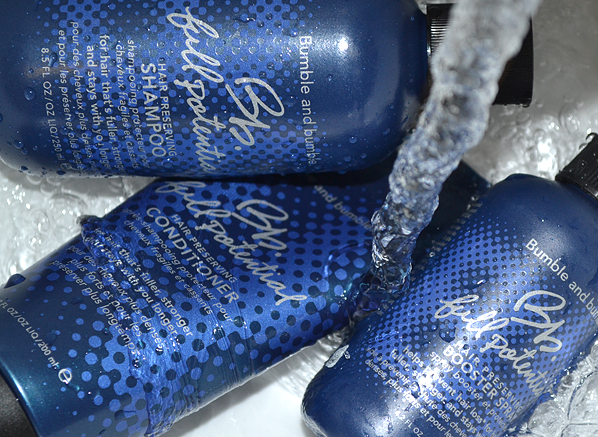 Resurrect and correct savaged strands with the new Full Potential range from Bumble, the second chance saloon for troublesome tresses. It fortifies hair so that it looks fuller, feels stronger and stays with you longer – so you can twist it, swoosh it, pin it and style as you like with confidence. Unsure if this will work for you? Click here to receive tailored to you help from our Escentual experts! Enriched with the unique Hair Preserve Blend, this voluptuous range offers men and women density and volume whilst strengthening each strand to reduce breakage and encourage growth, whilst creating a more manageable mane. Enriched with the nurturing Hair Preserve Complex, the energising Full Potential Shampoo breathes a new lease of life to your hair with its invigorating menthol formula. Complete with a scalp exfoliation element for encouraged re-growth, its purifying texture removes excess product build-up whilst nourishing your hair with a soothing dose of TLC. The Full Potential Conditioner is an instant re-construction tool that targets and treats your hair with the Hair Preserve Blend, infusing your hair with lost elasticity and vitality with a lightweight texture. 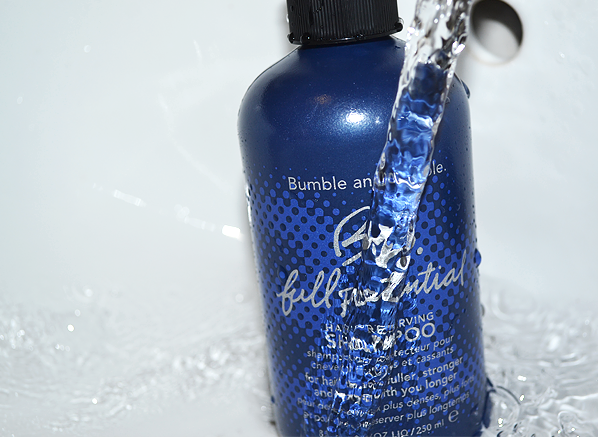 Uplifting and energising its minty-fresh feel stimulates your scalp with an empowered performance. Poised as a ‘liquid bandage’ that’ll repair your strands by 46%, the re-strengthening Full Potential Booster Spray is the key player in this body building routine. When it comes to rebuilding the durability of your tresses, this concentrated spray enriches your hair with density and nourishment from the Hair Preserve Complex, to provide you with the voluminous look you desire. Short hair, always busy, likes to keep things simple. I’m a bit out of my depth when it comes to hair care, I tend to stick to what I know and get on with it. So when I was offered the opportunity to try the Bumble and Bumble products, I was intrigued to see what my hair was missing out on. To say I’m impressed is an understatement. I like quick and easy results, so the Hair Preserve Shampoo was a great choice for me to try. I was expecting the formula to feel quite heavy, but the gel like texture was really refreshing with its menthol tingle. I was pleasantly surprised with smell of the product, as it wasn’t too feminine, which is perfect for me. Bumble are on to a winner with this cleanser. I could count on both hands the amount of times I’ve conditioned my hair, so this option definitely seemed like more of a treat to me. 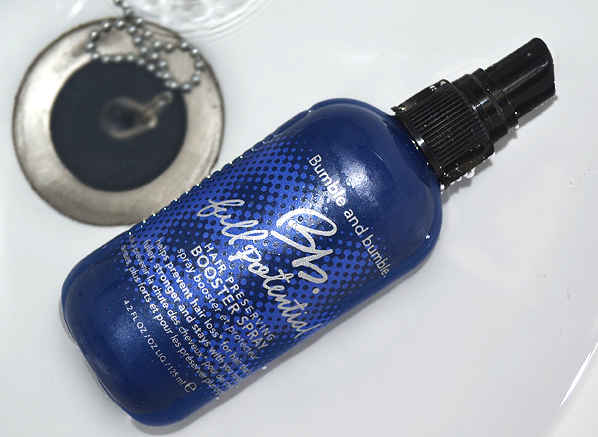 I really liked the lightweight texture; my hair felt instantly softer and looked healthier. I’ll definitely be conditioning my hair more often after this! Now this one was a tricky one for me, but I understand that it’s all part of the routine, so I gave in and gave it a go. Once again, the smell is amazing, and the spritz is quite concentrated, so I found it was really easy to work into my hair. I combed it through and it actually helped with my styling routine. It’s not something that I’d usually incorporate into my morning routine but after using it I did find it improved the look and feel of my hair. Chemically treated, prone to fringe snaps and split ends. It’s hard to find a product range that performs well for your hair whilst keeping your colour bright, so after giving this range a proper good go, I was pleasantly surprised by the super-shiny results it gave me! There’s nothing I love more than an invigorating start to the day. I was completely amazed by the softening gel-like texture; my hair felt instantly fuller which unusual for a non-creamy product. You can really feel the menthol formula invigorate your scalp as you work the product in, and my hair loved every minute of it. The ‘instant result’ claim is true, as my hair right away felt softer without that heavy feel. I noticed a big difference in the elasticity of my strands, as my Tangle Teezer combed through my hair like a breeze after I’d rinsed out the product. I’d love to use this regime before work as it gave my productivity a real kick start after using both products. As the recommended dose is twice a day, I started on the ends and I found it really easy to comb through (it almost doubles up as a mini detangler). I adore the smell of this range so I did get a bit spritz happy but all of the repercussions were positive. My blow dry was more streamlined than ever, and I couldn’t get enough of my swoosh! Intrigued about the range? We have a full set of the Full Potential Shampoo, Conditioner and Booster Spray (worth £86 RRP) to give away to one lucky reader! To enter, simply tell us who your ultimate hair idol is in the comments below. Ends on Thursday 5th November 2015 – good luck! No purchase necessary. A purchase will not improve your chances of winning. Contest begins 29th October 2015 and ends 5th November 2015. Winner will be selected in a random drawing on or about 5th November 2015. One prize winners will receive the items stated above. If the winner doesn’t respond within 7 days, the competition will be redrawn. Prizes must be accepted as awarded; not redeemable in cash or credit. This entry was posted on Thursday, October 29th, 2015 at 9:57 am and is filed under Haircare, New products, Tried & Tested. You can follow any responses to this entry through the RSS 2.0 feed. You can skip to the end and leave a response. Pinging is currently not allowed. Has to be Angelina Jolie. So glossy!!! Congratulations, Lily! You’re our Bumble Full Potential Winner, please send an email over to marketing@escentual.com with your shipping details to claim your prize! My hair idol is Alexa Chung!! Jennifer Lawrence, always has amazing hair. Alexa Chung is my hair idol! Lady Gaga’s hair styles because she is experimental , daring and does not give a damn , whatever she does however crazy she still looks good – why follow the flock when you can lead them. Blake Lively! All that gloss and bounce and volume – real Hollywood glamour! Though I’m not a redhead myself, Bryce Dallas Howard has a mane to aspire to. 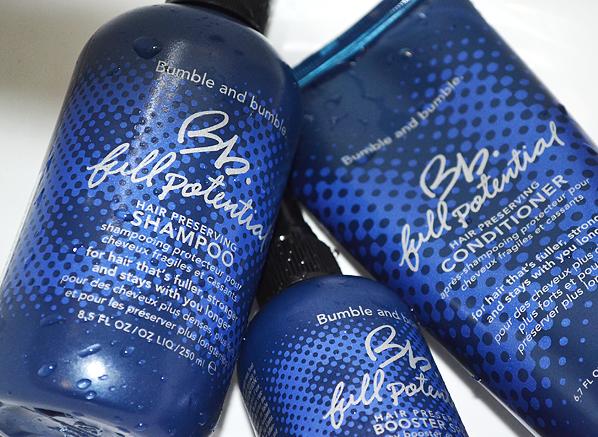 Full, glossy, healthy-looking hair that can handle anything. Jennifer Aniston never has a bad hair day, she is the one! I would love hair like Kelly Hoppen. Her hair is lovely. Another vote for Jennifer Aniston or Ruth Crilly of A Model Recommends. I’m in love with Phoebe Tonks’ hair. It always looks glossy, beautiful golden tones in the light and healthy! My ultimate hair idol would have to be Gigi Hadid. As a brunette I can live vicariously through her blonde locks, but if I were to ever go blonde, i’d use her as hair inspiration. Conchita Wurst, totally amazing hair! Léa Seydoux…..I would like her hair because it’s shaken but not stirred! Definitely Alexa Chung – her hair is always glossy and healthy-looking but I love its androgynous style. Fingers crossed for this!! My hair idol is Jennifer Lawrence. Her hair looks beautiful no matter how it’s styled, no flyaways, no frizz and her hair is immaculate condition even after having it dyed different colours for her roles! Basically the complete opposite to my hair, haha. As a redhead, my ultimate hair idol has to be Emma Stone! Kate Middleton! Healthy and always glossy looking. I heart <3 Sofia Vergara's luscious locks, I want her volume and bounce. Jennifer Aniston’s hair always looks amazing; cut, colour and style! My hair hero is Mylie Cyrus. From long tresses in Hannah Montana days to funky crops today – it always looks right on trend and healthy. Emma Watson, I love the way she changes her hair, she’s never had a disaster and always looks so polished.